I went Osprey hunting several weeks ago, based on the historical patterns that the return of the Osprey’s was imminent after a long winter. The early morning air was crisp and chilly to my hands and also it seemed to had an operational affect my camera equipment. There was a slight mist on the water’s surface and off in the distance the mist became a transparent milky white that appeared to be sandwiched between the bare tree tops and the water; seagulls circling low to the water’s surface disappeared as they darted in and out of the thick white mist. My wait wasn’t long before my camera equipment was swung into action. A large shape of a bird in flight was heading my way with a trail of squawking seagulls chasing close behind. It was the infamous Osprey, the Osprey had upset the other birds of the lake with it’s massive and intimidating flight. The Osprey broke through the distant fog, coming in low barely skimming the water’s surface. 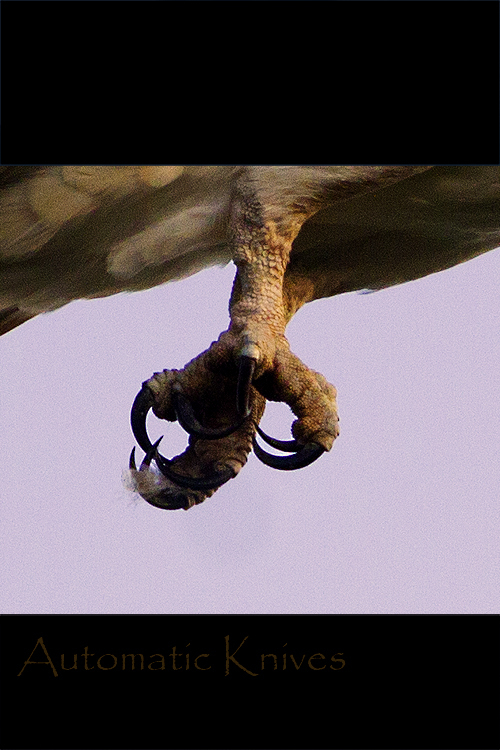 With’in seconds it was swooping upward expanding its wings, and extending it’s razor sharp talons outward in full spread–looking like a hand full of automatic knives, then hovering and simultaneously maneuvering itself downward into the nest. 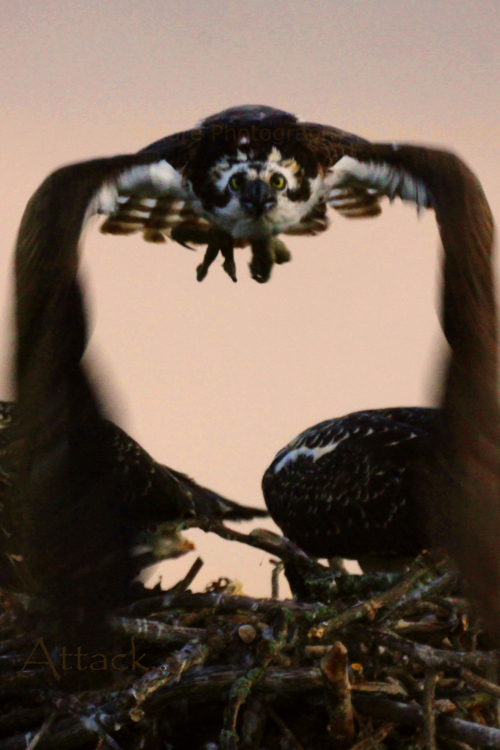 With an almost biblical appearance, the Osprey’s approach and landing maneuvers is always a sight to behold. First, one is captivated by those extended wings of the Osprey, the seemingly various poses this bird appear to orchestrate just for the camera–it’s almost as though this bird is performing at it’s best for the audience of wide eyed admirers. The Osprey never seems to disappoint the many spectators and photographers that come to visit young and old alike. This particular Osprey brought a new branch to the nest, look’s like the branch was being used as a crowbar on her mate (Bird, Fulcrum, Lever). Was this a female Osprey using a tool trying to get her lazy mate out of the nest to go hunt for some fish? After settling down into the nest. The majestic Osprey makes a surveillance of its domain, it carefully looks around from atop it’s throne; if there is an Osprey couple occupying the nest, what a royal looking pair they make, both looking very regal as they often sit side by side like two statuettes overlooking a kingdom together. Another Michigan Osprey Nesting Pair. 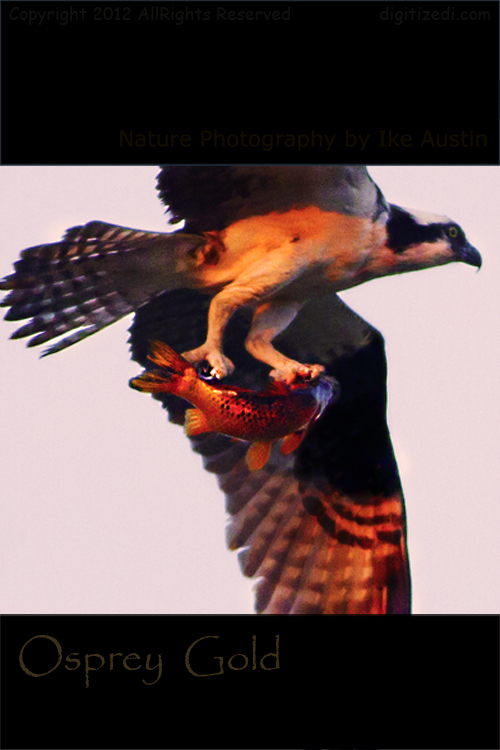 As the male Osprey (on of several predatory birds of prey in Michigan) returned one morning basking in the golden rays of the rising sun with a large coy fish, he let out a loud piercing shriek. It was as though he was shouting to his three young juveniles now all staring upward as he did get their attention; look at me, see what a large fish I have, I will not be dropping this one off in the nest, it is still alive and to big for any of you, now watch where I take the fish to eat it! The male Osprey (one of the largest raptor birds of prey) then proceeded to fly overhead pass his offspring to a branch far off in the distance where he would first make sure the prey was dead and then help himself to an early morning meal. 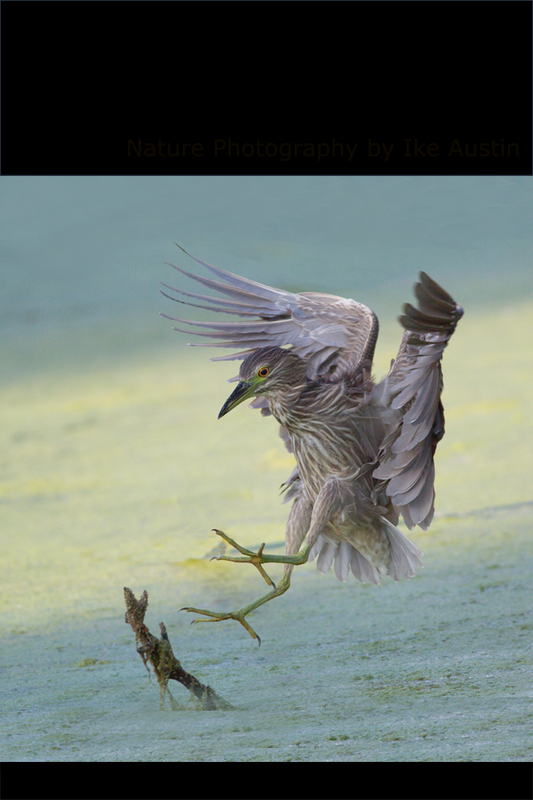 Thereafter, he would return to the nest with fish nuggets for his trio of anxiously waiting juveniles. View a couple of more Oprey photo’s below. The Michigan Osprey is a long 4′-6′ wingspan, black and white plumage, long skinny legs, and long powers intimidating talons. Extended wings in flight and typically ride thermal drafts similar to large raptors. 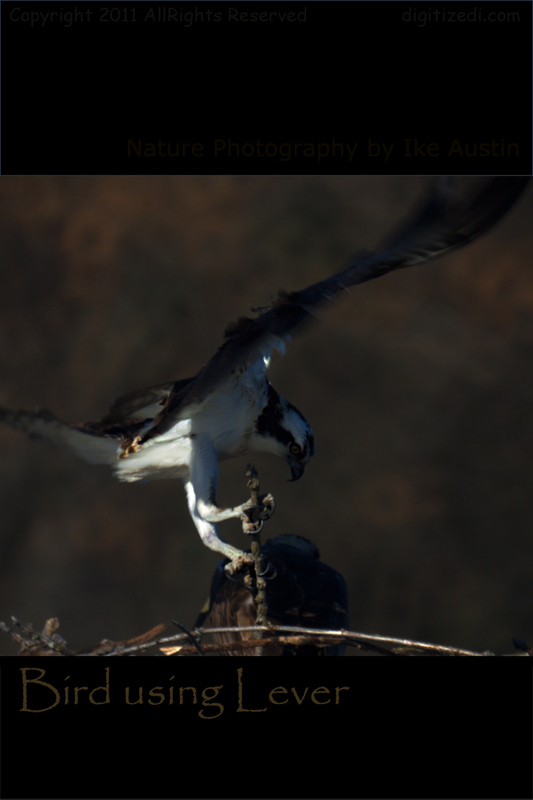 The Osprey will glide over the surface of water until it reach it’s nesting place. Habitat: The Michigan Osprey prefers open grasslands, lakes and wetlands. 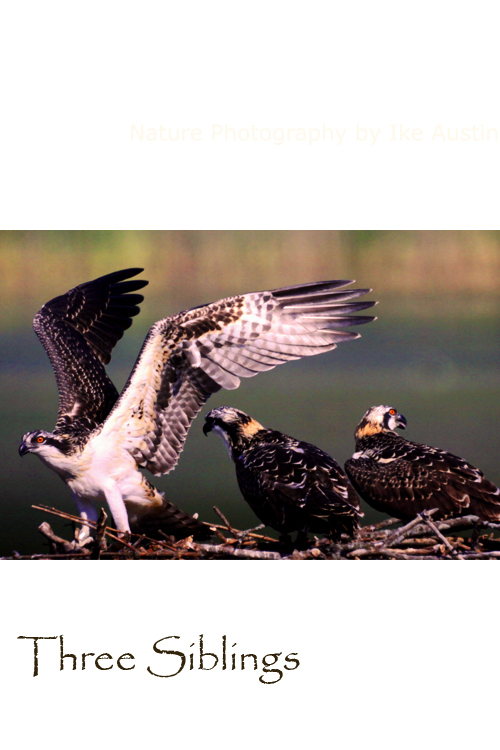 Nesting: Osprey will construct a rather large mounded nests made of branches and twigs of various sizes. They can be spotted high in the tops of trees, man-made platforms in parks and amazingly, high on top of 300′ foot high cell towers. Incubates 2-4 yellowish eggs for appx 38 days. Younglings go in flight in about 50 days from day of birth. 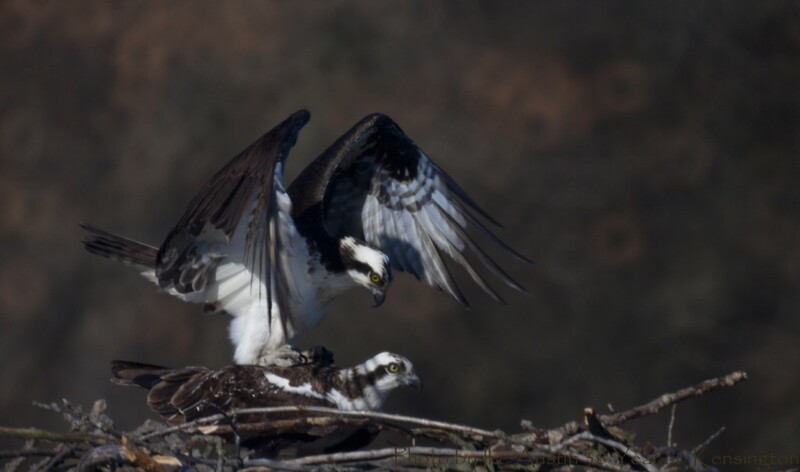 Mating Habits: The Michigan Osprey mates for life. Call: Series of low-high whistles. 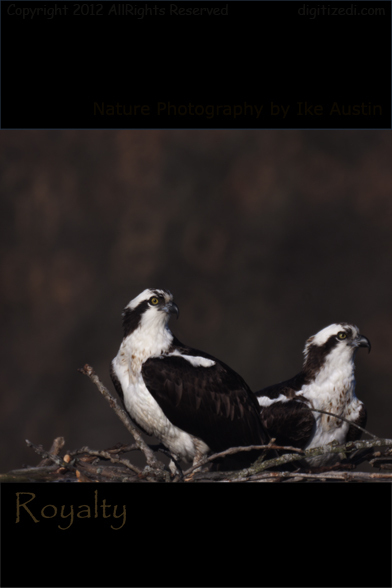 The Department of Natural Resources requests help from wildlife observers to report any sightings of osprey in southern Michigan, particularly in the Maple River area (north of St. Johns,) and in southeast Michigan (Oakland, Wayne, Macomb and Livingston counties.) 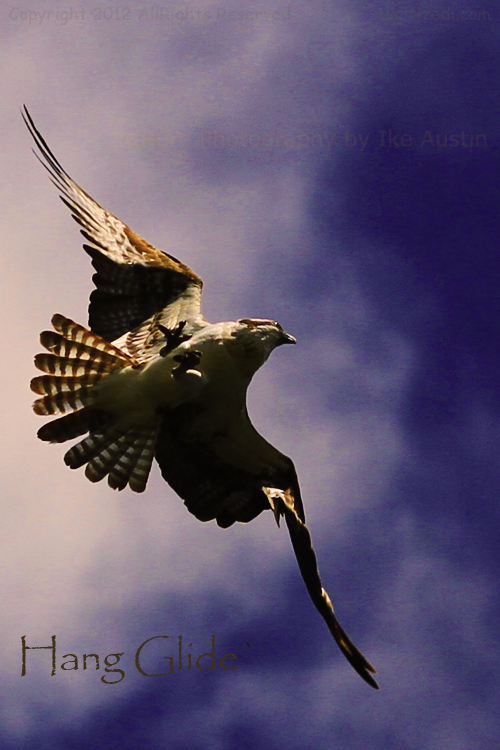 Report Osprey sightings here at DNR.